News aggregation site Newser.com just launched a new NEWSER BY USERS feature, which allows readers to find, summarize and post their own stories directly onto the homepage. 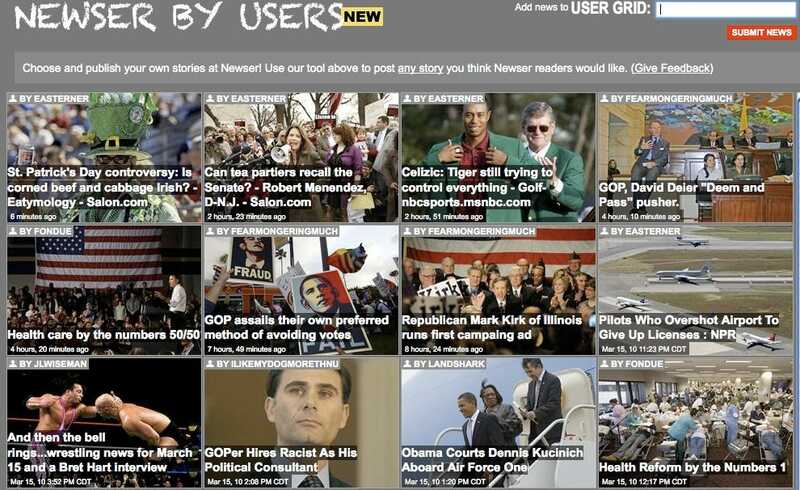 Below Newser.com’s main grid, which features summarized stories and photos curated with the help of Newsers’ 16 staffers, the second grid below it is wholly created by user contributions. They can sign up and use the site’s own tools to post their own photos, text, and headline onto their stories. Users no longer have to wait for mainstream media to bubble up the hottest news item — they create it, Wolff explained. He added that while major media companies have “grown incredibly paranoid” about their power structure and ageing business model in the new media landscape, by putting up paywalls, Newser is essentially breaking them down. Editors won’t be looking at the posts before they are posted online, but Wolff said if any of the user-generated posts could get them prosecuted for obscenity or libel, they will consider taking them down. 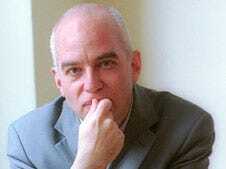 Otherwise, “we’re very determined to offer people full control,” Wolff told us. “We’re opening our platform to them.” Newser currently has 2.5 million unique visitors per month, according to Wolff.